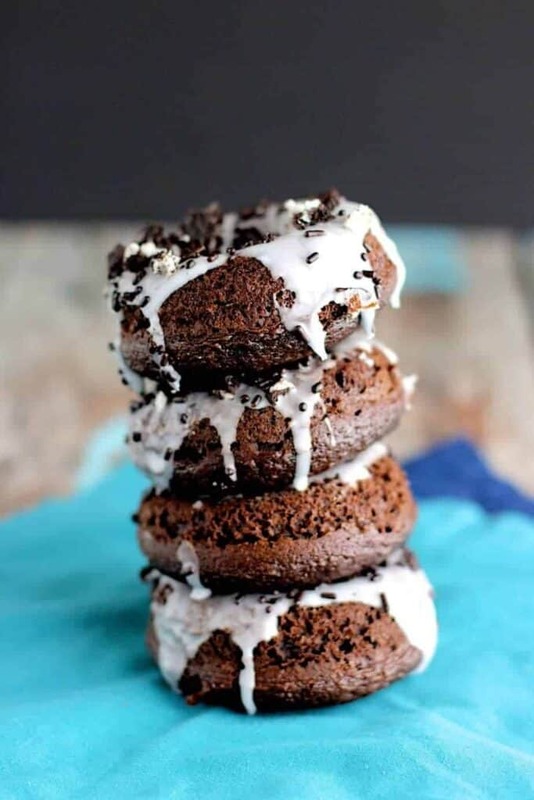 These Chocolate Cake Mix Donuts are light and cake-y, doused with a sweet powdered sugar glaze, and topped with chopped Oreos and chocolate sprinkles. 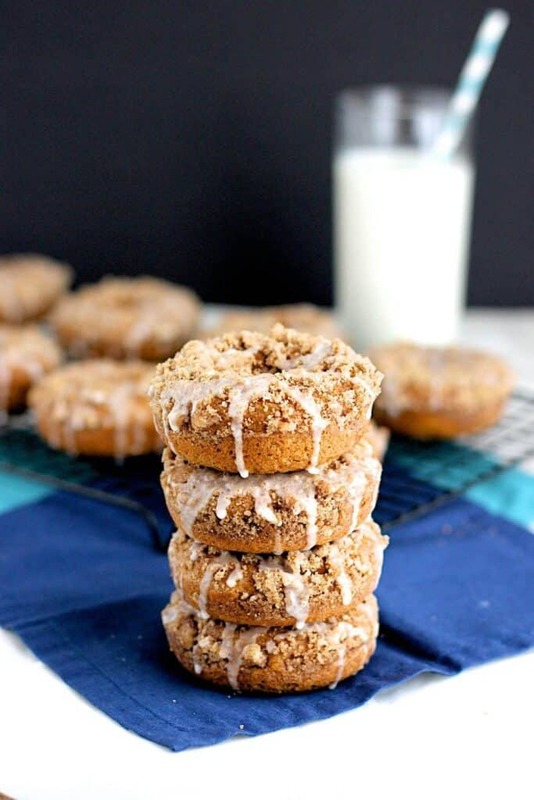 Donut… doughnut… How do you spell it? I’m partial to “donut” without any real justification for that preference. 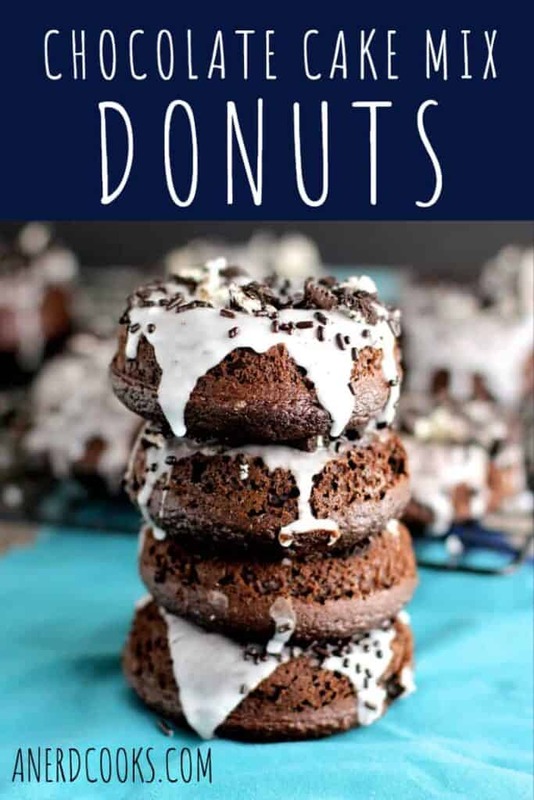 The spell check on this computer is flagging “donut” but not “doughnut” as not being a word but… I’m gonna stick to my guns. 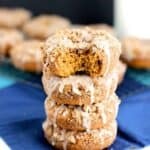 I’ve been getting my donut on lately (see chocolate peppermint cake donuts and pumpkin streusel donuts), and have plans to make more over the weekend. So stay tuned next week! 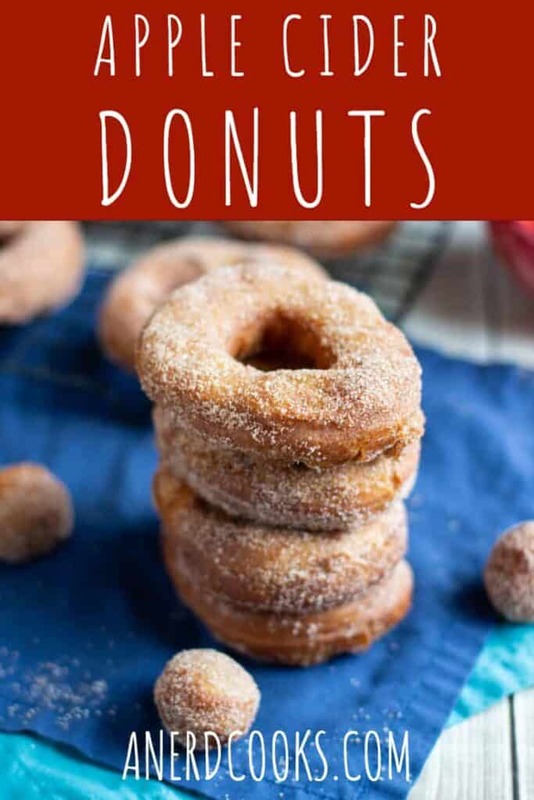 These particular donuts are especially easy to make, since they start out as a boxed cake mix! I tend to be a little snobby about making everything from scratch, so I had shied away from recipes that use boxed mixes. But, really, there’s no need for pretentiousness when a shortcut like this can get donuts into your face hole more quickly. 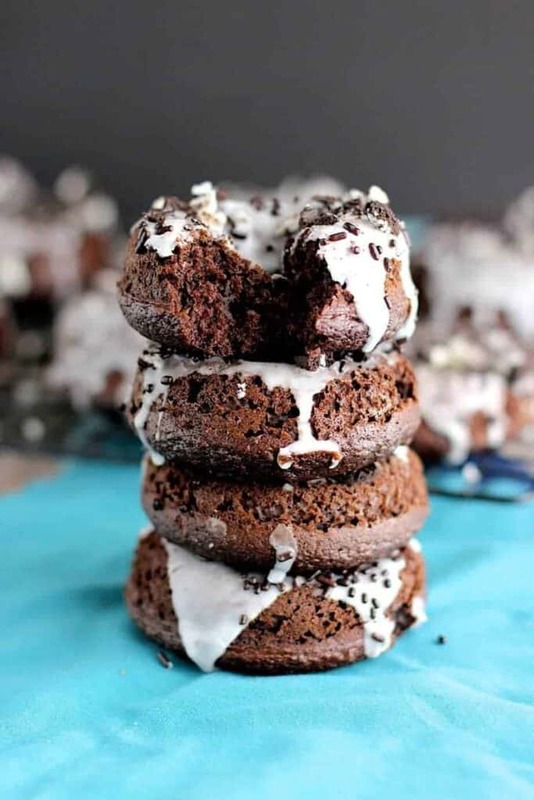 Come with me; Let us all embrace the boxed cake mix donut! 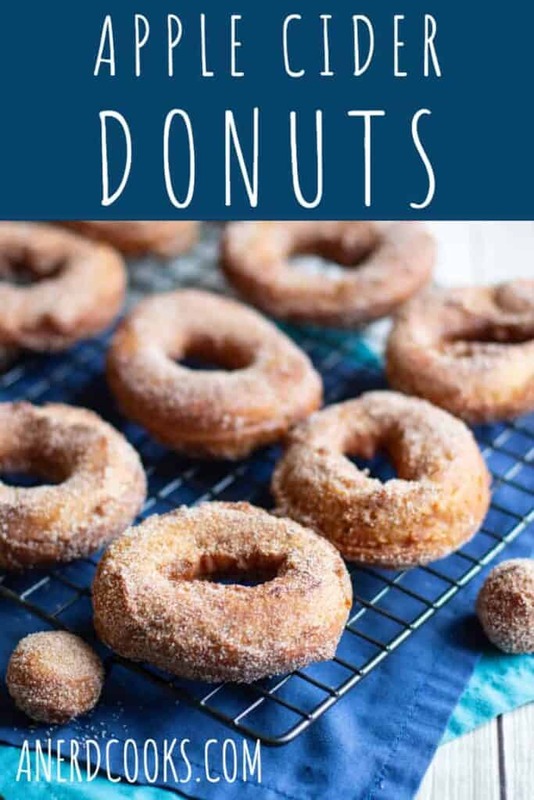 This recipe comes from Kleinworth & Co.
Preheat the oven to 350 degrees F. Spray a donut pan or two with cooking spray and set them aside. In a medium-sized bowl, add the cake mix, egg, vegetable oil, and water. Mix until combined. 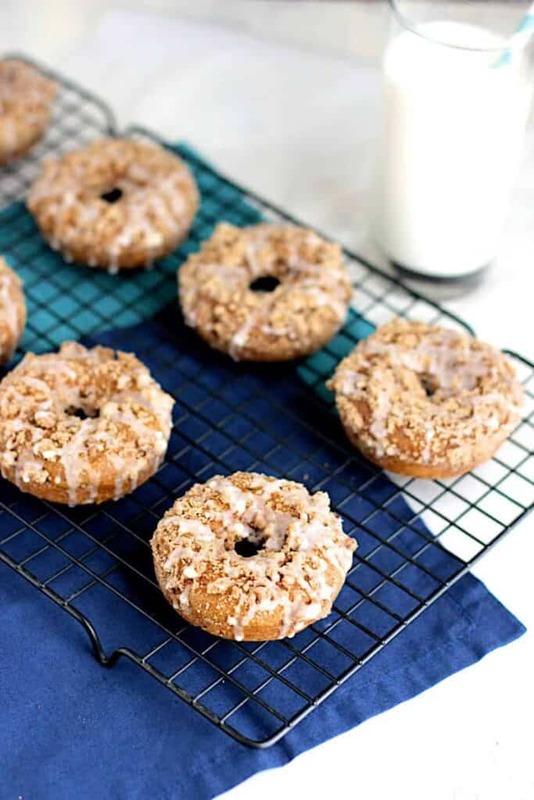 Using a piping bag, or spoon, fill the donut pan(s) up about 1/2-3/4 of the way. Bake for 8-10 minutes, or until the donuts are done all the way through. Allow them to cool in the pan for 5 minutes before turning them out onto a wire rack to finish cooling completely. Spoon the glaze liberally over the tops of the donuts. 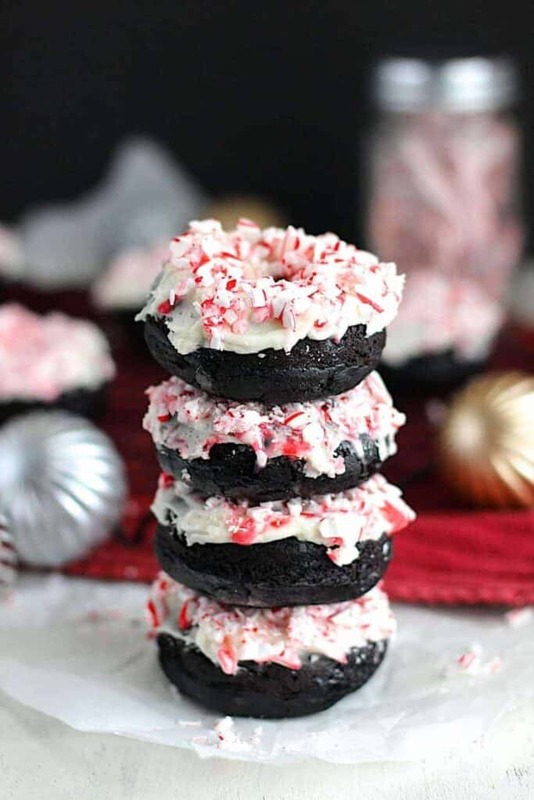 Add as many chopped Oreos and sprinkles as your heart desires. 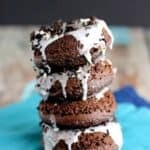 Notes: Find that your glaze is too thin? Add some more powdered sugar. Too thick? More milk. Keep going until you hit on a consistency that you're happy with. 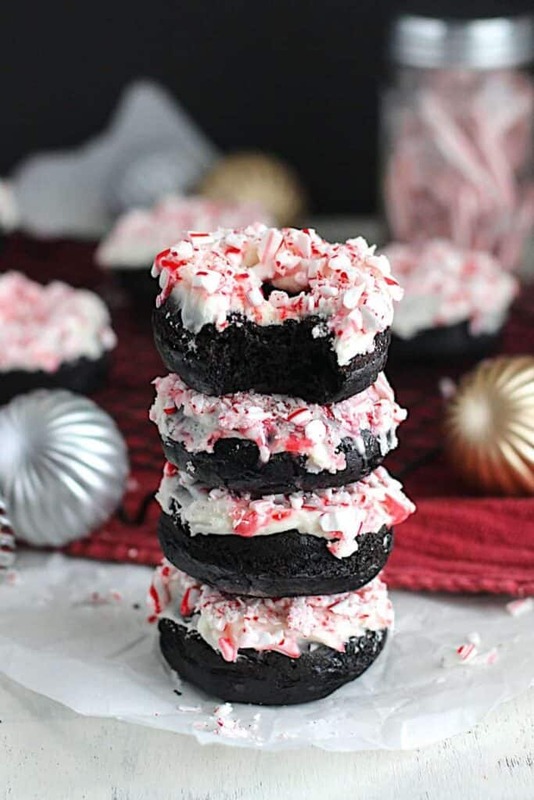 These Chocolate Peppermint Cake Donuts are dense, cakey, and the perfect balance of chocolate and mint.Chocolate and peppermint is a quintessential holiday flavor combination. 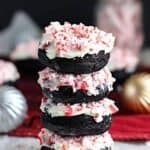 Chocolate and peppermint is one of my favorite flavor combinations, holiday or otherwise. I will happily go to town on some York Peppermint Patties or Junior Mints any day of the week. Peppermint mocha? Done. 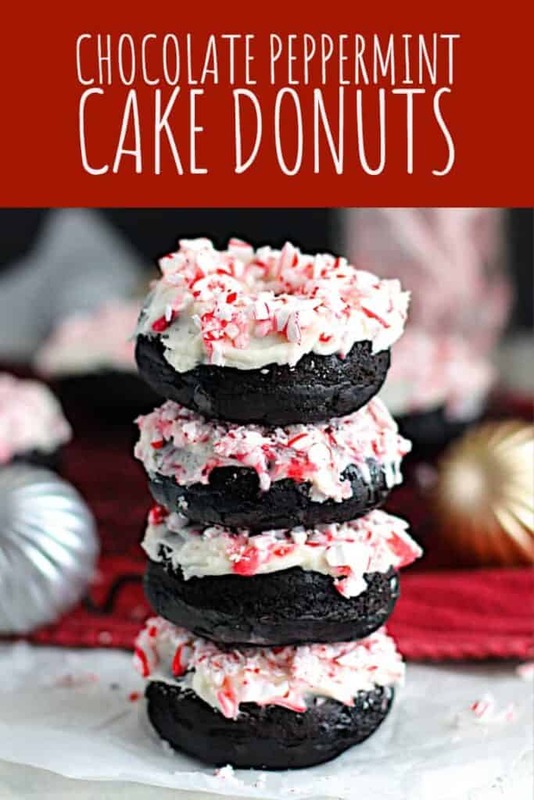 These donuts are a fun, minty way to celebrate the season. 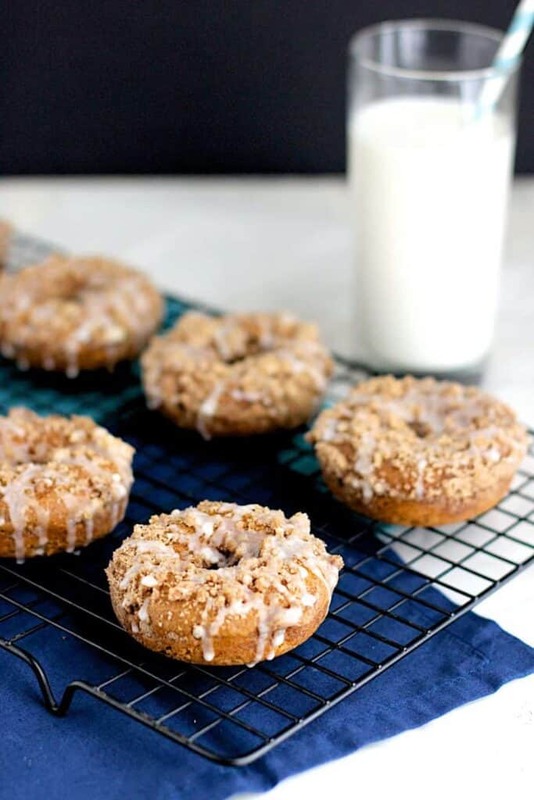 The donut recipe comes from A Sweet Pea Chef. The frosting recipe is adapted from Joy the Baker’s 2nd cookbook. 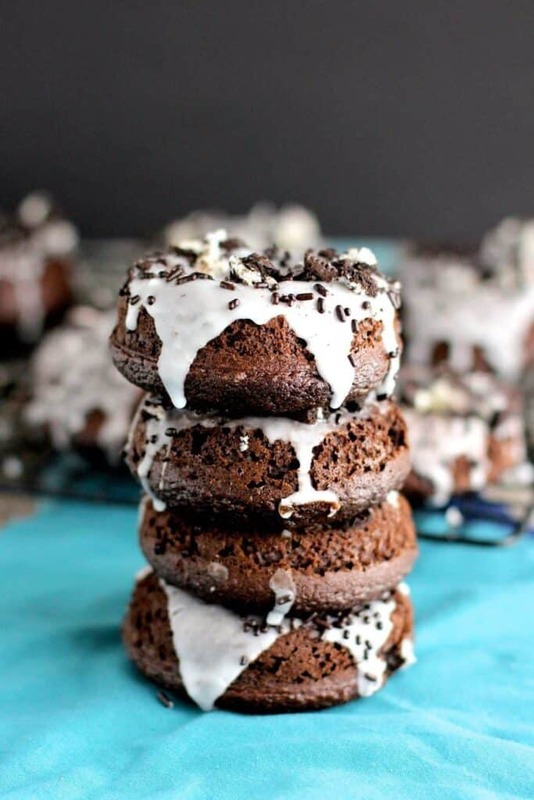 Preheat the oven to 350 degrees F. Grease a donut pan or two and set them aside. In a medium bowl, whisk together the flour, sugars, cocoa powder, baking soda, and salt. Set aside. In another medium bowl, combine the buttermilk, eggs, melted butter, yogurt, apple cider vinegar, and vanilla extract. Mix until just combined. Spoon or pipe the batter into the donut pan molds ~3/4 of the way full. Bake 18-20 minutes, or until a toothpick, when inserted into a donut, comes out clean. 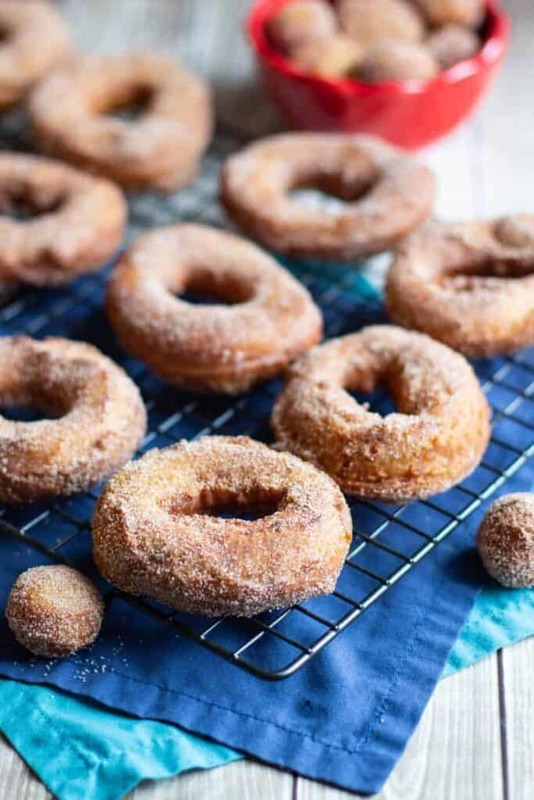 Allow the donuts to cool for 5 minutes in the pan before removing them to a wire rack to finish cooling completely. 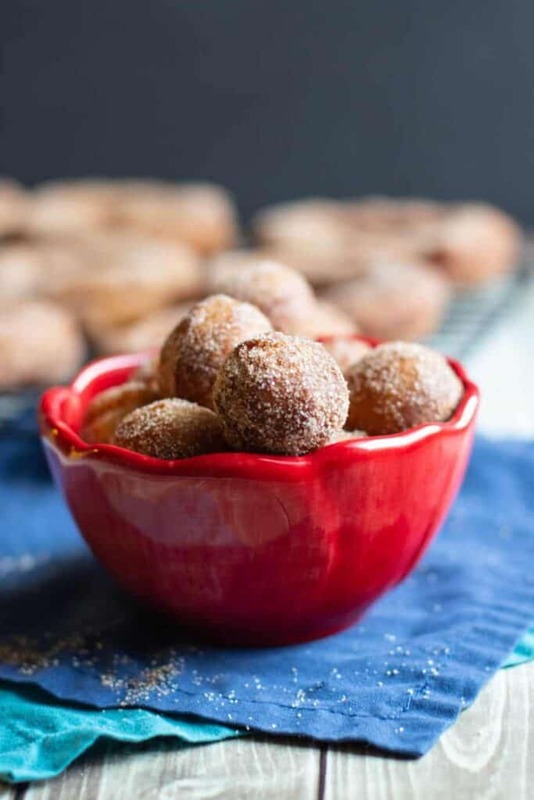 Beat the softened butter and 2 cups of powdered sugar in the bowl of a stand mixer. Add 1 tbs of milk and the peppermint extract. Add more powdered sugar, beating on low, until you have achieved the desired consistency. If you need to thin things out, add a little more milk. Once you've reached the desired consistency, beat on medium for a few minutes to fluff up the frosting. 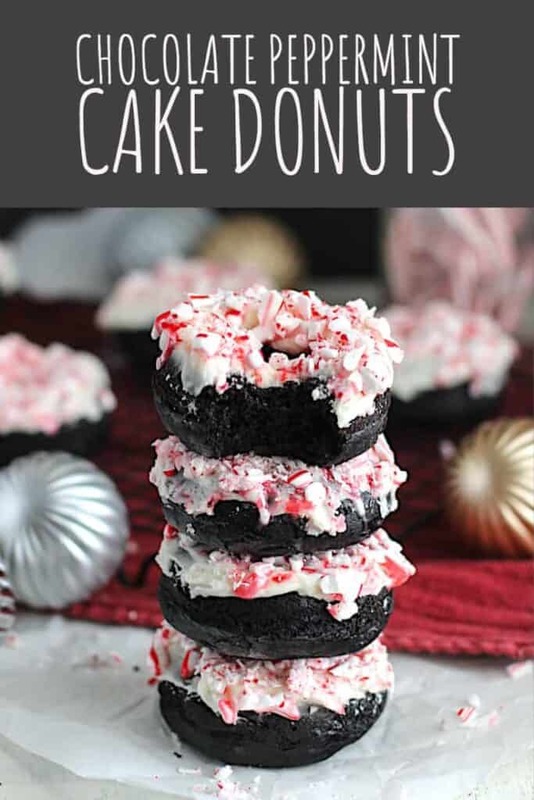 Frost the donuts and top them with crushed candy canes. Want more donuts? 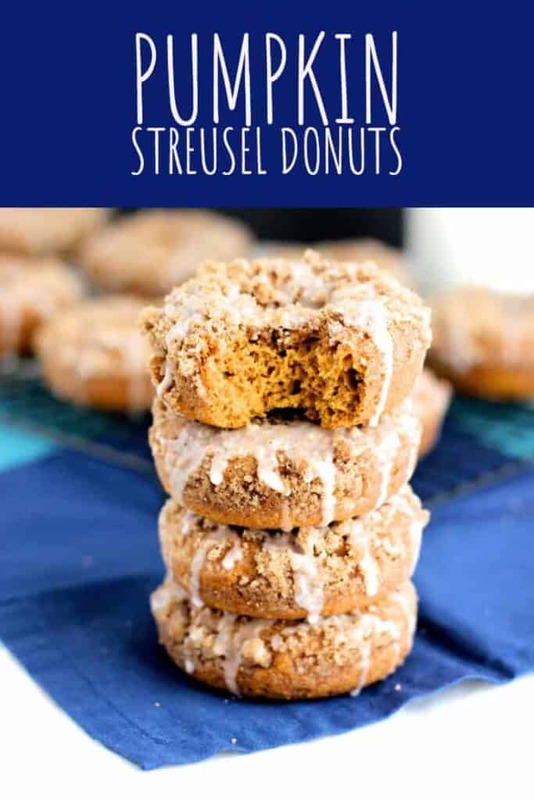 How about Chocolate Cake Mix Donuts or Pumpkin Streusel (also cake mix) Donuts? 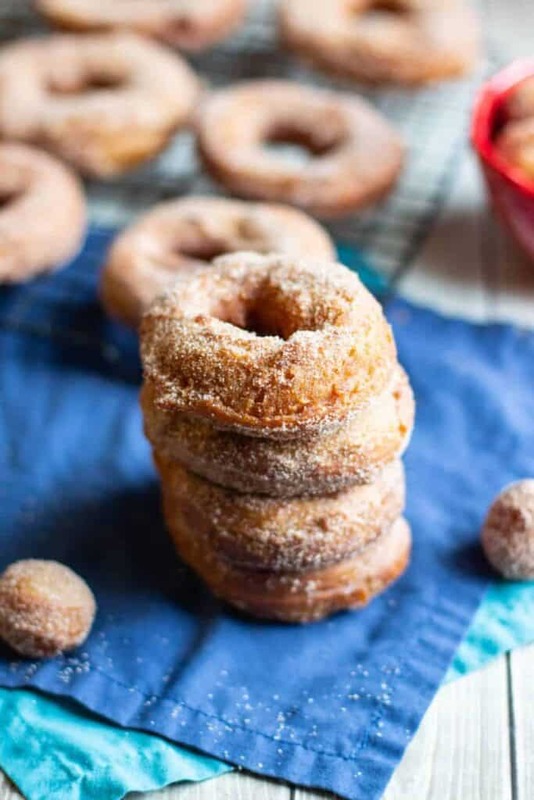 Don’t forget Apple Cider Donuts! 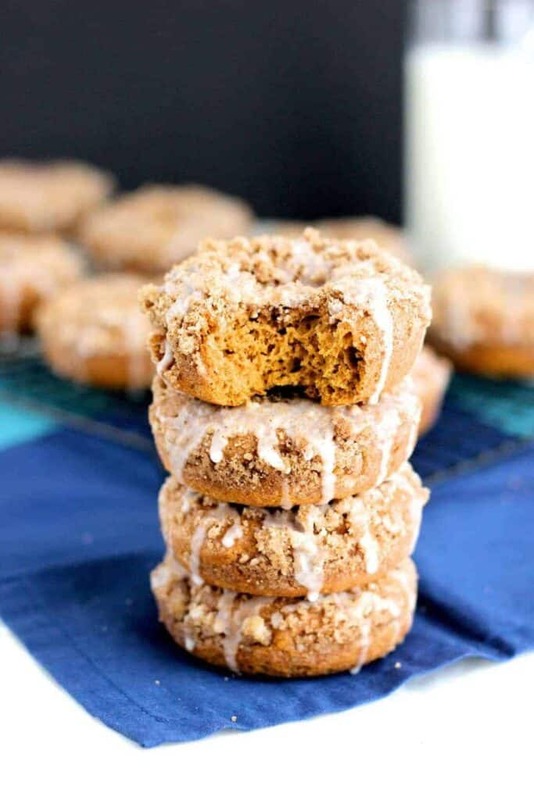 These Pumpkin Streusel Donuts donuts are sweet, pumpkin-y, and full of Fall spiced flavor. 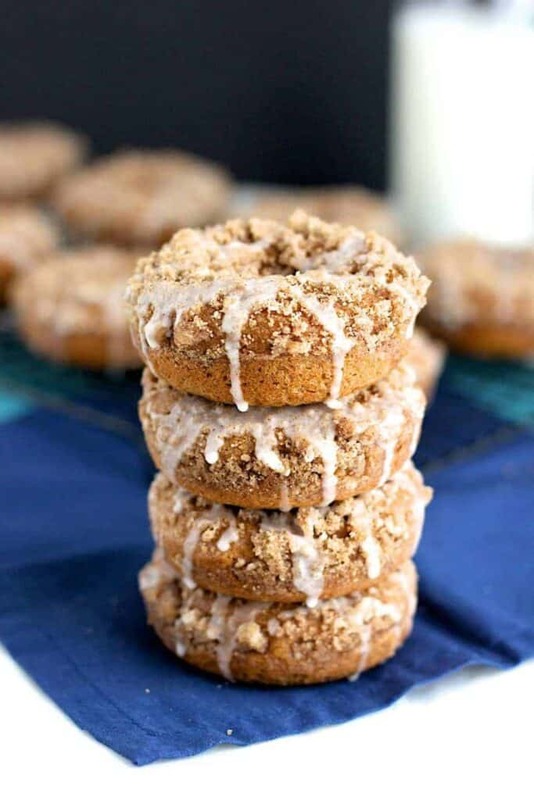 The streusel topping and sweet glaze really put them over the top. I bought a donut pan a while back, but rarely use it. That’s a real shame, because donuts. I decided to change that this weekend. 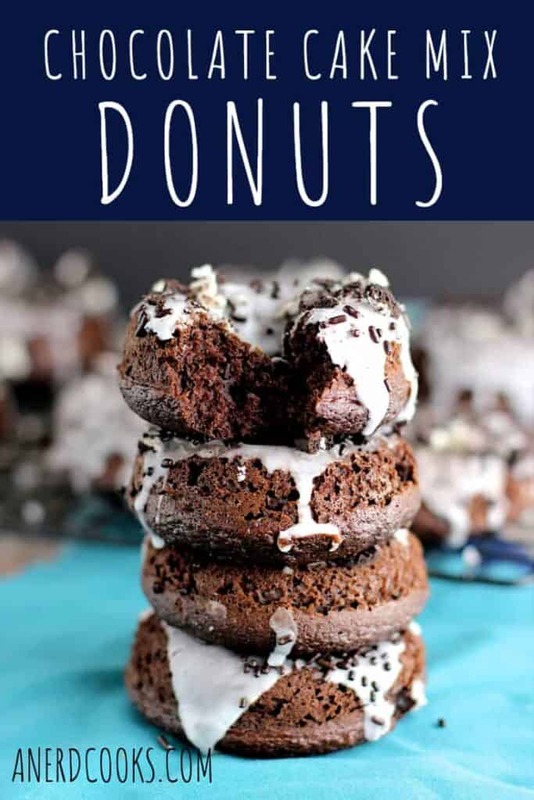 These donuts taste delicious, look great, and are super easy to make since they’re essentially just a gussied up boxed cake mix. This recipe comes from the blog Jennifer Meyering. In a large bowl, mix the cake mix, pumpkin, eggs, and melted butter until well combined. Scoop the batter into a piping bag or large zip top bag. Snip off the tip/one corner of the bag and pipe the batter into the donut pan, filling about halfway. 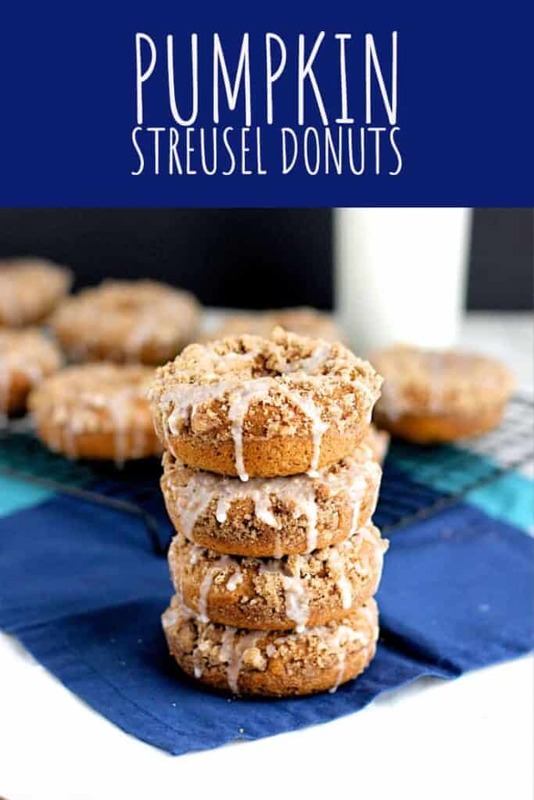 In a small bowl, combine the ingredients for the streusel topping. Stir until everything is combined and a bit crumbly. Top the donuts with ~1 tbs of the streusel mixture. Bake 8-10 minutes. 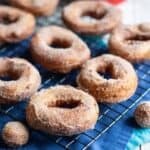 Allow the donuts to cool in the pan for about 5 minutes before removing them to a wire rack to finish cooling completely. Stir the powdered sugar and milk in a small bowl until smooth and the desired consistency has been reached. Drizzle the glaze over the cooled donuts.